Moving into a new house sounds like a new beginning but to do so you have to say goodbye not only to the old home but also to some useless stuff. But removing sometimes means a lot of stress and worries. If you choose us for a removal in Liverpool, you won’t have any problems with anxiousness or expenses. We hold a great variety of services on affordable prices. In fact it can be cheaper to use professional help for moving and cleaning rather than doing it on your own. 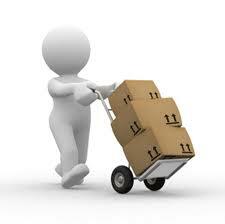 Our company is specialized in moving, but we expanded our activities in order to do exactly what you are looking for. First of all, our workers are well-qualified and competent and you won’t have to think about fragile things. We are capable of wrapping ovens and fridges and then carrying them. Removers will transfer even lab equipment or some pieces of art. Furthermore, if you are busy, the team will pack whatever you decide, because we all know that moving suggests a lot of time spent with brokers or banks. Second, you will be happy to know that our vans are new and all your luggage is fully insured. If you have some really big stuff, we will send trucks, so we will save your time. Our Liverpool removal offers will help you arrange everything in your new home, so we won’t leave your washing machine in front of the door. Usually if you are selling the old house you want to do it as fast as it is possible. But in the same time you have to deal with the new one. Our squads are specialized and if you want not only removing but also cleaning you just have to say it when booking. There is also a case when you want to move but not before deep cleaning all rooms/basements. We can provide you with cleaning services for perfect hard floors without dust and dirt in the porous. If you are moving to a used house there is a chance that some must stains or grimy windows will be there. Whether it is for the new place or the old one, we are here to cooperate in order to save you all the trouble. We offer have great Liverpool removal packages, so you can spend your time, effort and of course money. You can choose whether you want only removing to the new house, or moving plus cleaning but remember that the special deals come when you order more services at once. You can also see our service areas for more information on which areas we cover. We offer some bargains if you bring another client and discounts for early booking. You can read all about us including some feedback and comments on our website. Our business hours are extended so we are here all day every day.